Just a day after it launched “Conversation Ads” in its Windows client, Microsoft has today pushed a new Skype update for its Mac app, incorporating Mountain Lion support, improved screen sharing and additional visual tweaks. Coming in for some criticism with its full-screen UI, Skype welcomes back its slim contact list, making it easier for users to arrange, select and view their online and offline friends at-a-glance. Now, you can drag the contact list to wherever you like on your screen and initiate calls and send messages a whole lot easier. Also included in the update is a new mobile-focused feature which will detect when the person you are speaking with has rotated the smartphone or tablet they are using, orientating the screen so that you can see them how nature intended. Screen Sharing has been given a little boost and now supports the sharing of photos alongside a video call, working in both one-to-one and group calls. Screen sharing remains free over audio calls. Now supporting Apple’s OS X Mountain Lion, Skype will be ready for the release of the operating system in July, ensuring that millions of Mac users aren’t left with a non-functioning app when they upgrade. There’s no indication of whether the app is still as bloated but we have downloaded the update to find out. It doesn’t appear that Skype has integrated Conversation Ads into its Mac client just yet, a feature that brings display advertisements right into the calling window for users making one-to-one Skype audio calls. The ads are only shown to free users, but for now remains embedded within Skype’s Windows client. 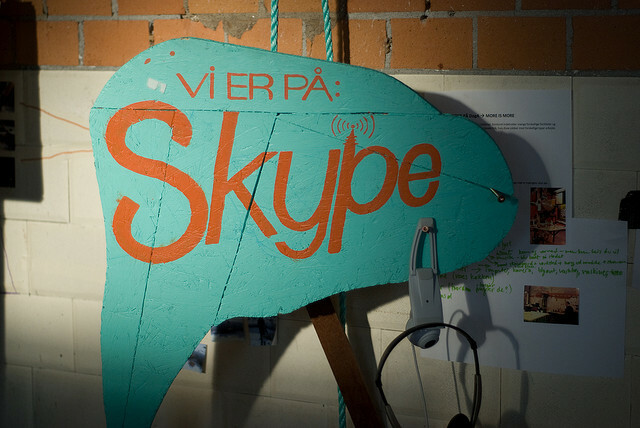 One of Skype’s best features is its price, but now that the company is actually attempting to monetize its free users, the odds are that there will be a bit of user backlash. This is likely why the company is testing the waters by only targeting audio calls on Windows. Skype says that it will push another update soon, allowing users to open new chat windows for different contacts, completely unbundling the component features so users can organise them more efficiently within their workflow.